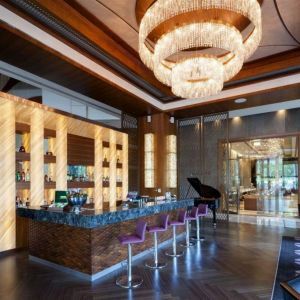 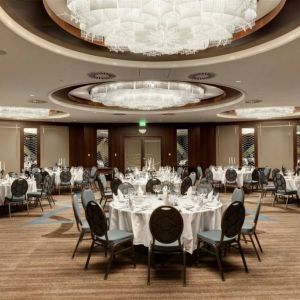 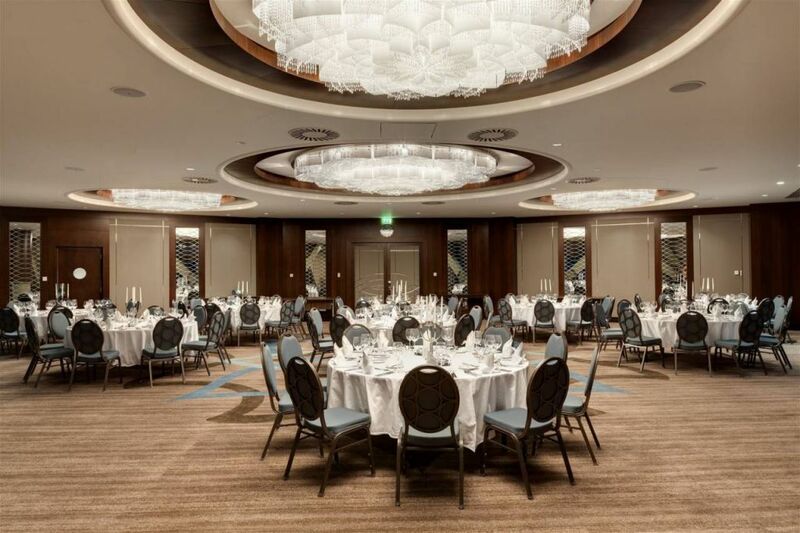 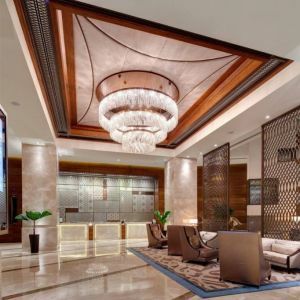 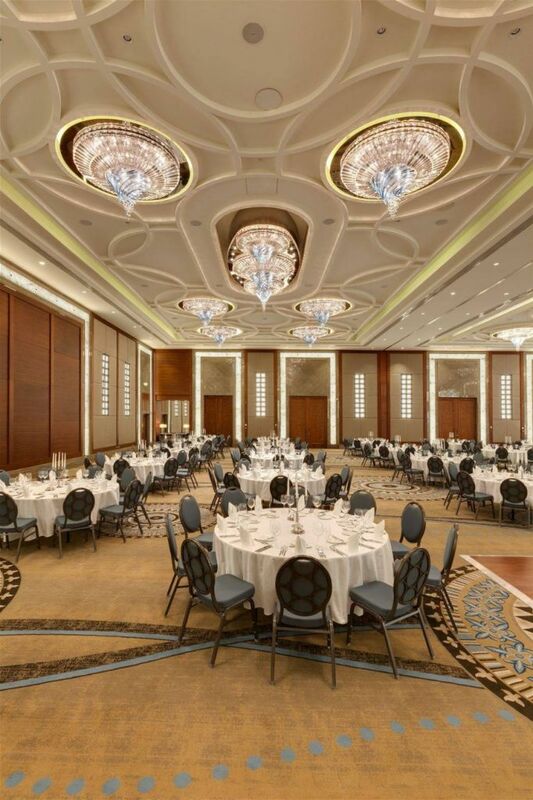 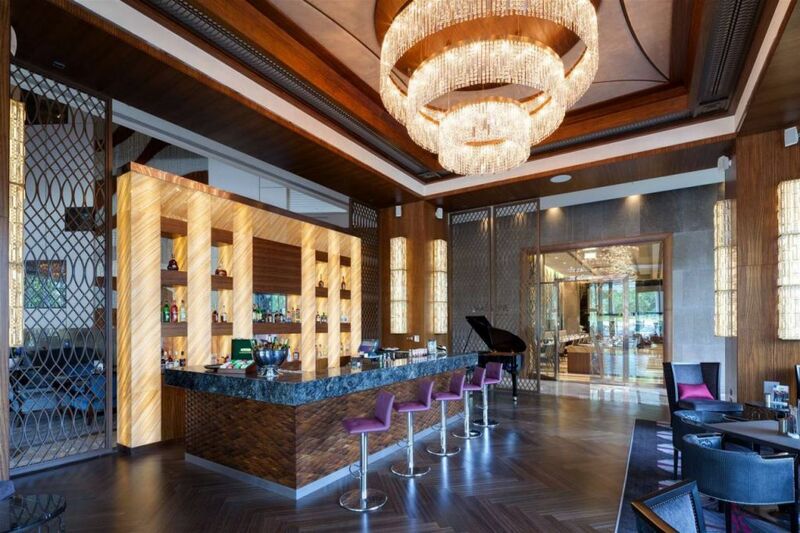 Hilton Brusa Convention Center & Spa has been realized in cooperation with METEX DESIGN GROUP and lighting consultant ZKLD Light Design Studio. 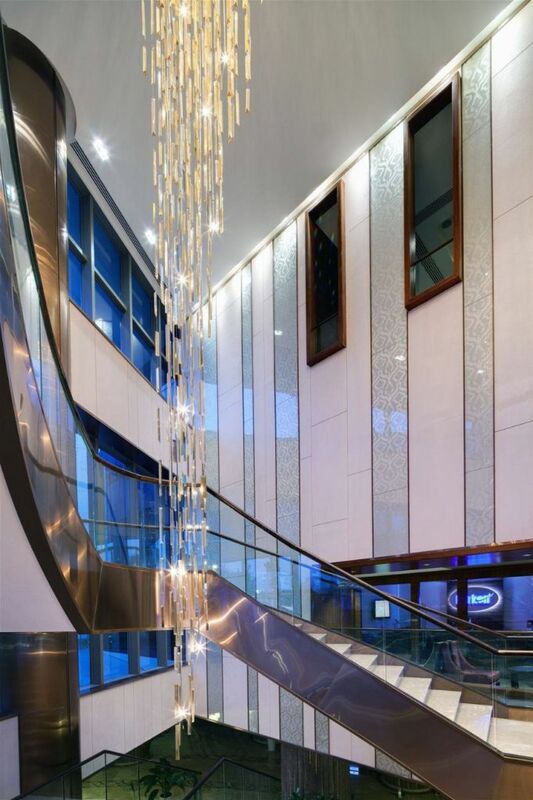 For this project Preciosa prepared a number of concepts from which the customer chose the best and most suitable one for their hotel. 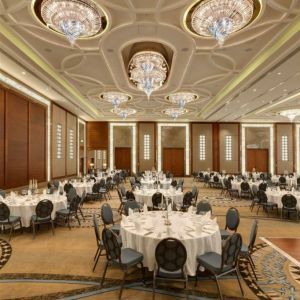 Most of the lighting fixtures are made out of hand blown glass in aquamarine or Turkish blue, the color which is typical for Turkey. 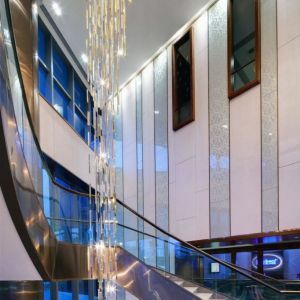 A special detail of the hotel´s interior is a 13 m long wall, which is made out of 1500 m of optical glass rods in bronze, silver and crystal color which together form a unique mosaic structure. 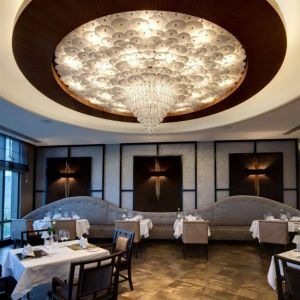 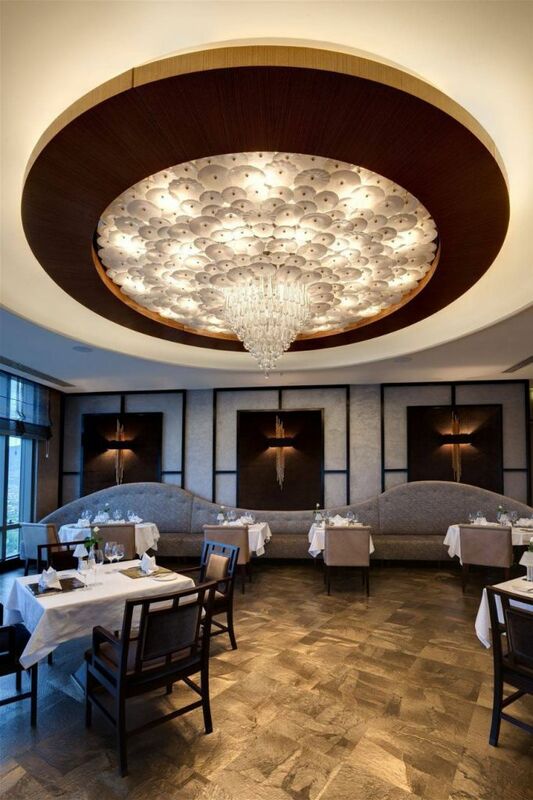 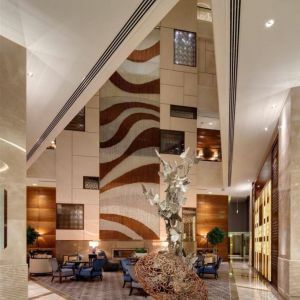 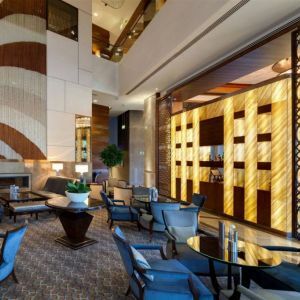 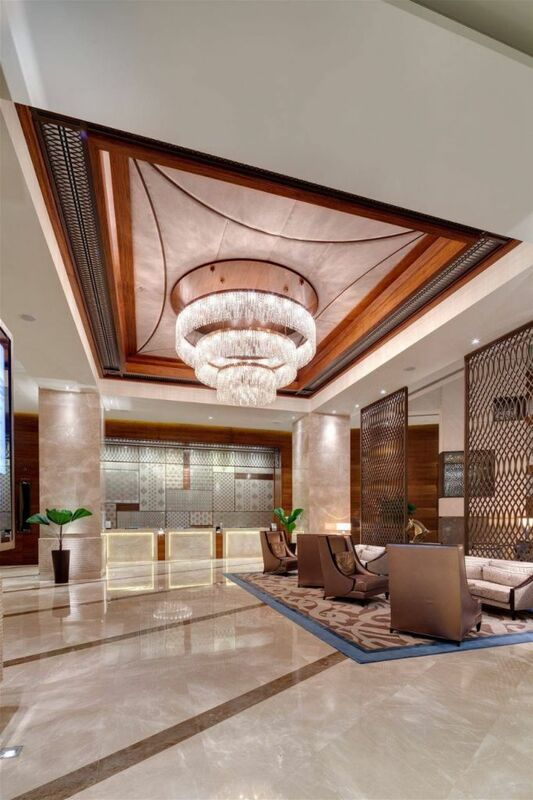 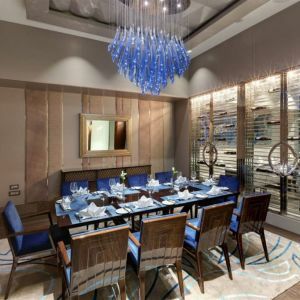 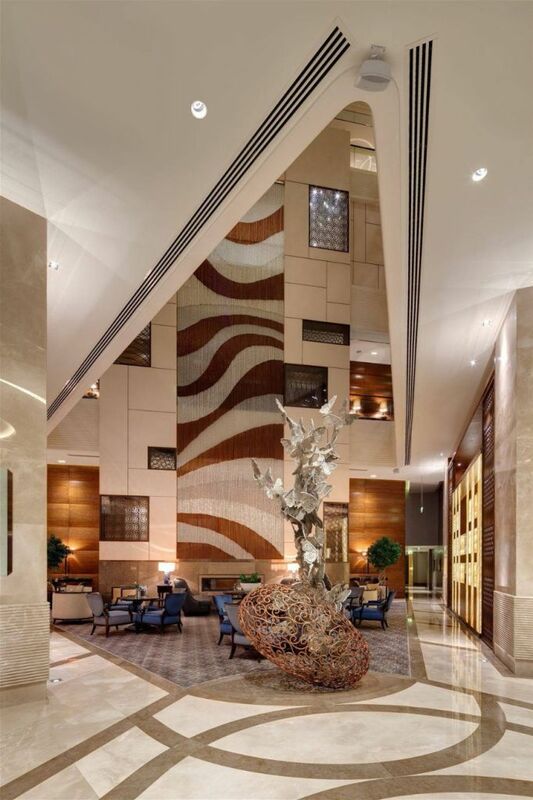 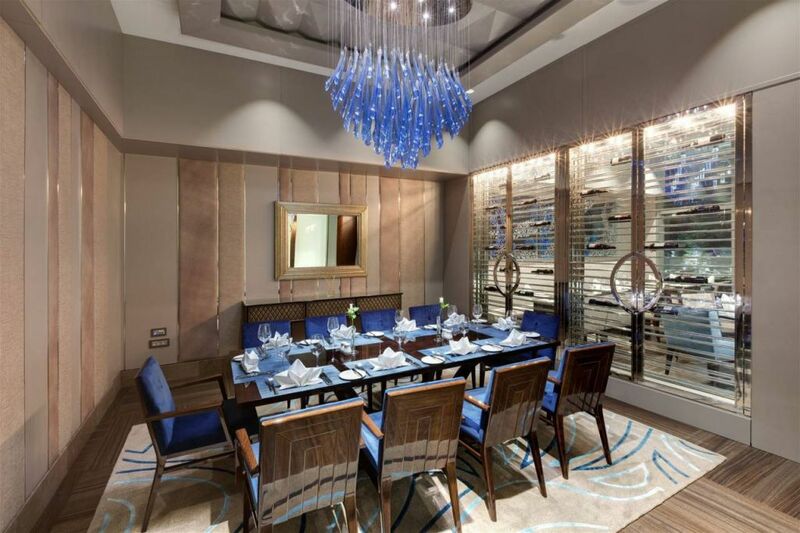 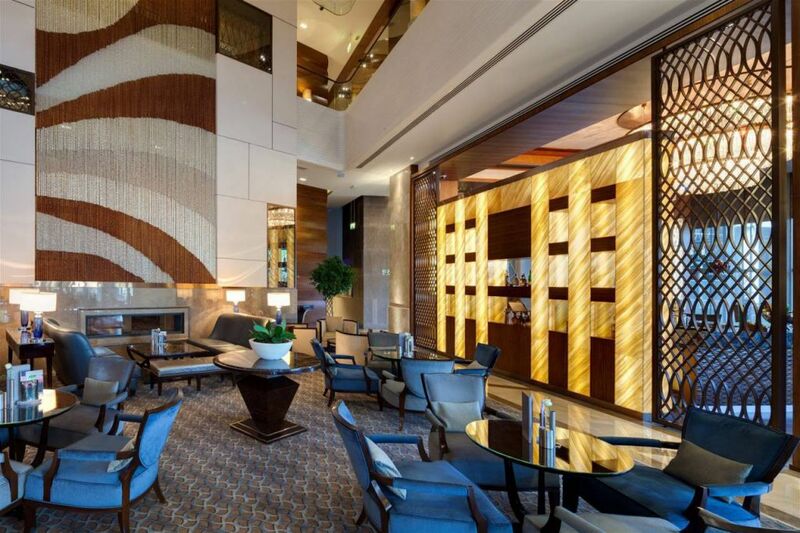 Preciosa has also supplied the public area of the hotel with a total of 42 decorative lighting fixtures.